It's time to check out the contents of August's Discovery Box, which featured many returning favourites with some awesome new products! 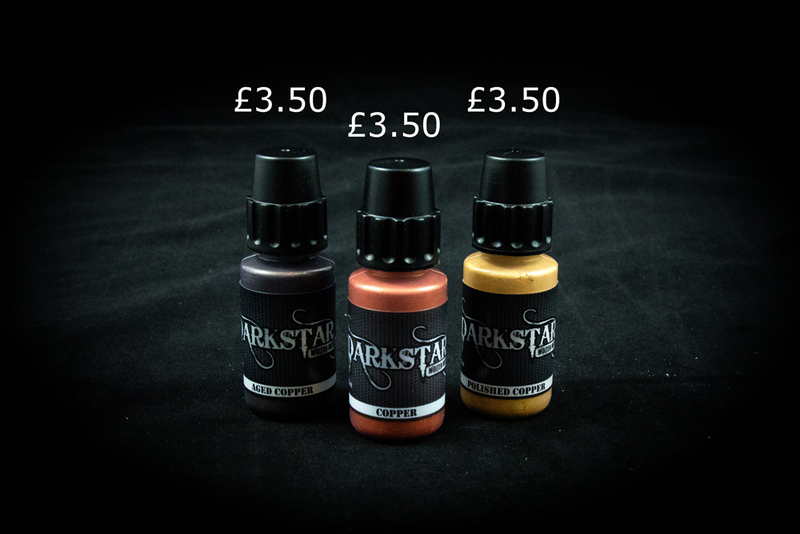 Let's start with the magnificent Darkstar Molten Metals and their copper trio. Adding the brand new Aged Copper paint to the existing copper pair, Darkstar created the ultimate metallic trio which we featured in August's box. This paired nicely with the Heavy Brown wash from INSTAR paint, which is part of their new range of washes. Finally, we also included an epic set of products from Serious Play Scenics including the launch of their flagship water effect! This amazing product was partnered with Green Moss Flock and Mixed Cork, which when used with the other products in this month's box, create a wonderful landscape effect! If you like the sound of August's box, why not enjoy the surprise of receiving a box like this on your doorstep every month, and sign up to the Discovery box here. August's box was also excellent value for money, featuring £26.52 worth of miniature paints for just £19.90, which represents a 25% saving on RRP! You can buy August's box on our store. Darkstar's metallic paints are absolutely stunning! They come in fantastic chunky bottles that never spill, with precision nibs and an agitator too. 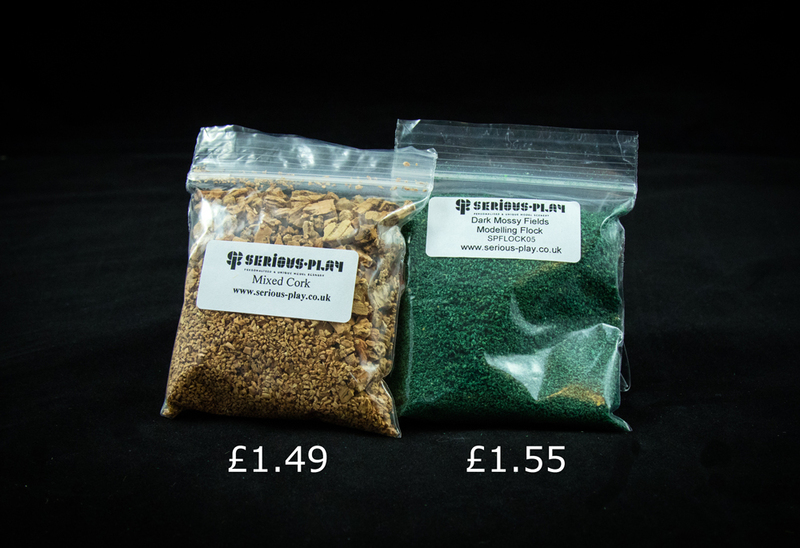 The colours themselves are very premium, creating beautiful rich metallics on your miniature. The copper trio is excellent as it can be used together, each metal alone, or as pairs too e.g. copper highlighted with polished copper. The Painting Guide for August goes through three different ways to use the metallics in the box. These washes are from a new range created by INSTAR paint, which are designed to be versatile and easy to use. There is a 'soft' version of each of these colours, and his range of washes are expanding all the time. We look forward to seeing what other colours are brought out, as washes are an essential part of painting. It's no secret that here at Asset Drop, we love Serious Play Scenics! 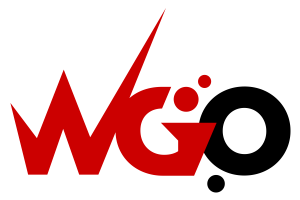 They produce an epic range of products for basing miniatures and are constantly innovating. In the month of August, they released their newest invention, the Well Water Effect. It's a fantastic product complete with instructions and a pair of protective gloves included for free! Their dark moss flock and mixed cork pack can be used in conjunction with the Hatake grey paints and INSTAR washes to create an awesome landscape. 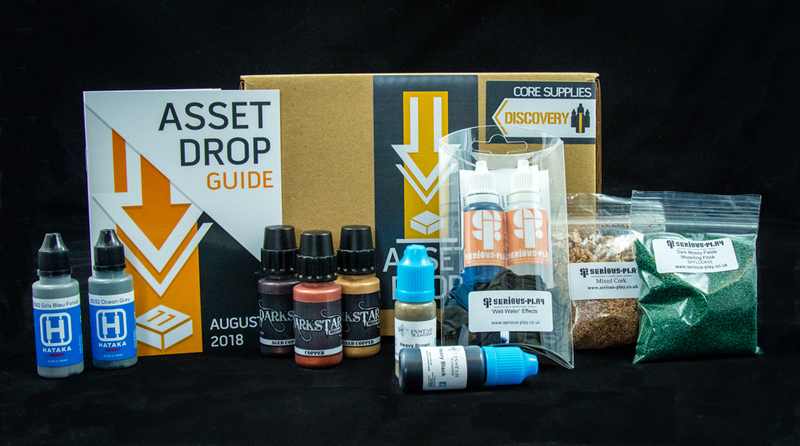 The full tutorial on how to use these products was included in the Asset Drop Guide for August! Places on our Discovery subscription are always limited with only a few opening up each month. Sign up for the latest box, if it's available, by click the link below! Once you sign up for a box, you will get a 15% discount in our store off products and past boxes.